The harp is an ancient instrument, but in its current form, it seems so unwieldy that it’s a wonder that anyone ever learns to play it. 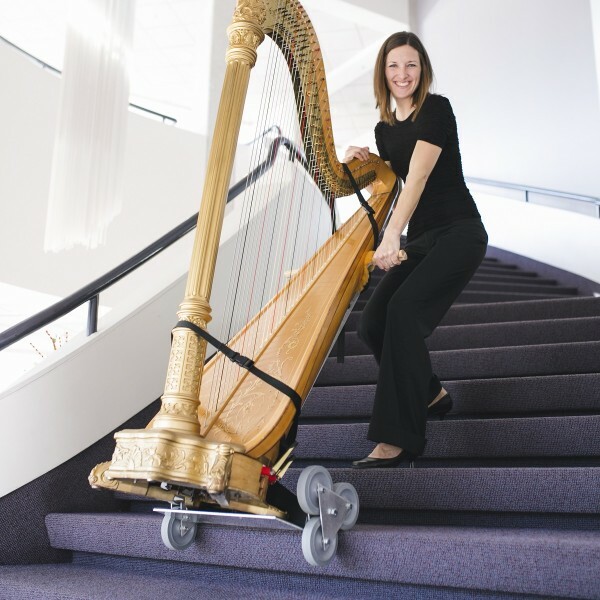 It’s one thing to tote a rented trumpet or clarinet home from school to practice, but a concert harp is a real pain to transport safely. The image below is unrelated to the laser harp project, but proves that portable harping is begging for some good hacks. Enter this laser harp, another semester project from [Bruce Land]’s microcontroller course at Cornell. By replacing strings with lasers aimed at phototransistors, [Glenna] and [Alex] were able to create a more manageable instrument that can be played in a similar manner. The “strings” are “plucked” with the fingers, which blocks the laser light and creates the notes. But these aren’t just any old microcontroller-generated sounds. Rather than simply generating a tone or controlling a synthesizer, the PIC32 uses the Karplus-Strong algorithm to model the vibration of a plucked string. The result is very realistic, with all the harmonics you’d expect to hear from a plucked string. [Alex] does a decent job putting the harp through its paces in the video below, and the write-up is top notch too.